High-quality keyboard dust cover for CME Uf 5. Available in Microfibre, Polyester or Synthetic Leather. High-quality keyboard dust cover for CME Uf 50. Available in Microfibre, Polyester or Synthetic Leather. High-quality keyboard dust cover for CME Uf 6. Available in Microfibre, Polyester or Synthetic Leather. High-quality keyboard dust cover for CME Uf 60. Available in Microfibre, Polyester or Synthetic Leather. 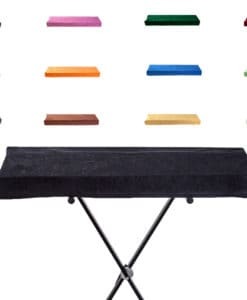 High-quality keyboard dust cover for CME Uf 7. Available in Microfibre, Polyester or Synthetic Leather. 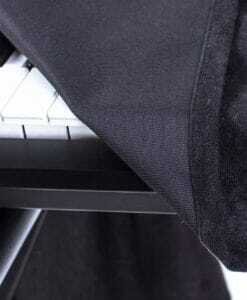 High-quality keyboard dust cover for CME Uf 70. Available in Microfibre, Polyester or Synthetic Leather. High-quality keyboard dust cover for CME Uf 8. Available in Microfibre, Polyester or Synthetic Leather. High-quality keyboard dust cover for CME Uf 80. Available in Microfibre, Polyester or Synthetic Leather. High-quality keyboard dust cover for CME Vx 5. Available in Microfibre, Polyester or Synthetic Leather. High-quality keyboard dust cover for CME Vx 50. Available in Microfibre, Polyester or Synthetic Leather. High-quality keyboard dust cover for CME Vx 6. Available in Microfibre, Polyester or Synthetic Leather. High-quality keyboard dust cover for CME Vx 60. Available in Microfibre, Polyester or Synthetic Leather. High-quality keyboard dust cover for CME Vx 7. Available in Microfibre, Polyester or Synthetic Leather. High-quality keyboard dust cover for CME Vx 70. Available in Microfibre, Polyester or Synthetic Leather. High-quality keyboard dust cover for CME Vx 8. Available in Microfibre, Polyester or Synthetic Leather. High-quality keyboard dust cover for CME Vx 80. Available in Microfibre, Polyester or Synthetic Leather.